Marketing leaders seek employees with interesting and advanced skillsets. They want folks who know the field and can demonstrate that they know it on a routine basis. One thing to help you stand out is to get certified in your area of expertise, or in the tools that you use on a regular basis. This helps managers to understand how proficient a user must be without a deep dive. Whether they are looking for new additions to the marketing team or ways to sharpen the skills of their current staff, digital marketing certifications are a key in today’s fast-paced enterprise. There are many courses out there, and knowing what the best ones are for you can result in a long research process. If you use marketing automation software in your work, these certifications also show employers that you can work effectively with a marketing automation program to create and deliver marketing campaigns. We’ve gathered four essential digital marketing certifications that anybody who uses marketing automation should consider getting. Click the certification icon next to each to get started right away. Facebook offers a certification for marketers to demonstrate their ability to create content for Facebook’s advertisement service. You’re required to take the Facebook Advertising Core Competencies exam and either the Facebook Planning exam or the Facebook Buying exam. Completing the planning exam gives you the Facebook Certified Planning Professional certification; this exam teaches you about planning strategies for Facebook marketing and how to target specific audiences. Completing the buying exam gives you the Facebook Certified Buying Professional certification; here, you’ll learn about creating and buying Facebook ads and how to successfully integrate ads onto the Facebook platform. Having both of these certifications shows employers that you have a deep knowledge of the Facebook platform and that you can create campaigns designed specifically for Facebook. You can then use your marketing automation tool to help create Facebook ads and track their success. Google Ads (previously called Google AdWords) is Google’s online marketing service which allows marketers to share advertisements and content on Google’s ad network. Google is the most-used search engine in the world by a large margin and using their advertising services means you can get your word out to the large number of Google users out there. Google Ads certification is given to those who demonstrate their knowledge of the Google Ads system as well as an understanding of digital advertising across various media. To be certified, you must take the Ads Fundamental course and one additional course – you have the option of taking Search Advertising, Display Advertising, Mobile Advertising, Video Advertising, or Shopping Advertising. Certifications last for one year and can be renewed. This certification is useful for marketing automation users who generate a lot of marketing content and advertisements as part of their campaigns. Google is a useful platform to advertise your business simply because of the large user-base; having your team certified in Google Ads shows that they understand how to tap into that user-base and bring in a higher return. Hootsuite has been one of the leading social media management programs since it launched in 2008, and allows you to manage multiple social accounts across various popular platforms. Their Hootsuite Academy presents lessons on many aspects of social media and a certification on social marketing. The certification requires you to take a 60-question quiz on the different ideas and techniques of social media and social marketing. It costs $199, but you can retry for no charge if you don’t pass the first time through. The nicest benefit is that this certification is permanent – once you receive it, it stays with you forever. Since many marketing automation tools have social integration built into them, knowing how to best optimize social media posts and how different social media platforms work is beneficial. You’ll be able to create posts that are engaging and will attract a lot of traffic, and your software will handle posting them. Employers and businesses are looking for marketers who know how to create social content, and this certification will show that you know your stuff. The backbone of every marketing campaign is content, and HubSpot offers a course on content marketing through HubSpot Academy. This free course offers lessons on content generation, strategy, promotion, and re-purposing; it also teaches you tips on improving your content writing skills. HubSpot offers others courses and lessons as well, alongside certifications on social media, e-mail marketing, inbound marketing, and the HubSpot marketing suite. This certification is best for those who use HubSpot’s marketing suite, but even for those who don’t, being certified by the folks behind one of the leading marketing automation tools shows how well you know content creation. 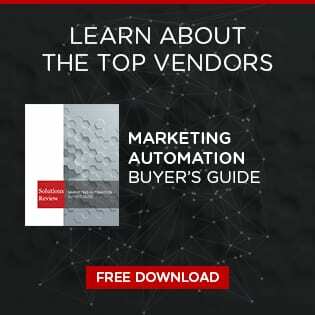 While marketing automation tools can help you send content and make it more marketable, knowing how to write content from the start lets you work with your marketing automation software to create successful campaigns. These certifications are useful for marketers in finding the best employees or giving their staff the best training. Having these certifications on your resume will put you above the rest and give you knowledge of digital marketing platforms many organizations are using.